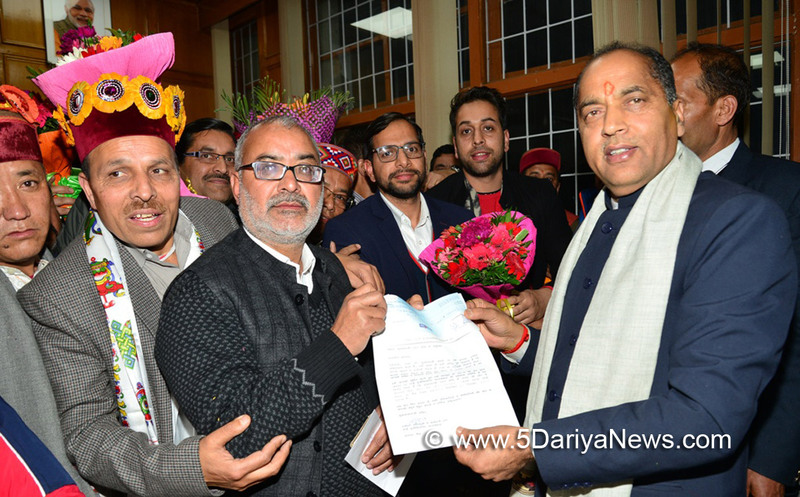 Chief Minister Jai Ram Thakur today released documentary on 'Kullu Dussehra Summit of Cultures' produced by Dussehra Festival Committee Kullu at Kullu today.The documentary traces the rich culture and history of International Kullu Dussehra.CM appreciated the efforts of the District Administration for its endeavours. DC Kullu Yunus, SP Kullu Shalini Agnihotri and other officers of district were present on the occasion. Later the CM inaugurated Kullu Food Cafe at Kullu.